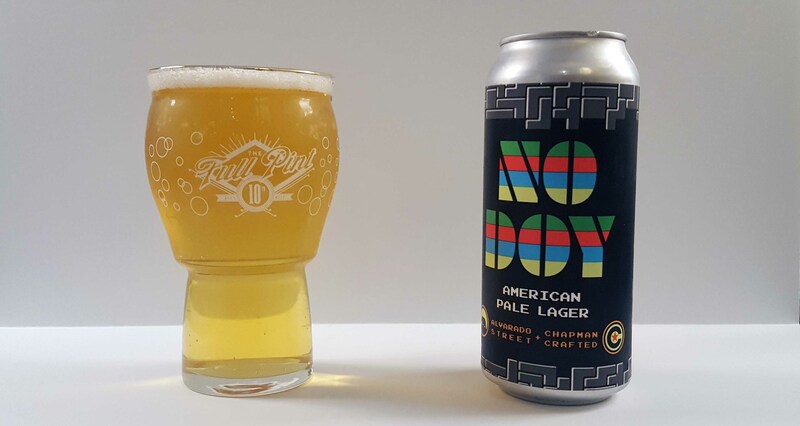 Product description: A collaboration with Chapman Crafted, celebrating the simplicity of Amarillo hops and a clean, American lager fermentation! Fruit punch on the nose, crisp & zippy on the palate with moderate bitterness for an uber drinkable pale lager. You’re gonna love it, no doy! Yeast: Christian Schmidt. Malt: Weyermann Pilsner. Hops: Amarillo. 6% ABV, 45 IBUs. I sampled this from a 16oz can packaged on 2/19/18, so about 6 weeks old. 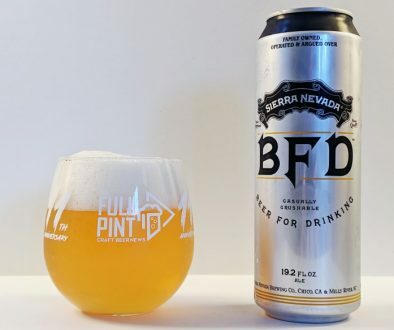 Like many other breweries, this is packaged as a blank can with a paper label wrapped around it. The label design is fairly original with the 8-bit video game look. I’m reminded of Tallgrass 8-Bit Pale Ale. Into the glass, No Doy is crystal clear pale straw in color but with soda fountain-like carbonation that starts off vivaciously but then settles down to nothing way too quickly. What you are left with is a lifeless, flat beer after less than a minute. Head formation is barely possible. The aroma is very different from what I expected. There’s a nice blend of honey rolls, flowers, vanilla cake, lemonade, pineapple…but also quite a bit of smokey phenols. I didn’t read the label too carefully before drinking this, so I expected it was a smoked helles of some sort. However, there’s nothing in the official description about that. In fact, there’s an emphasis on clean lager fermentation. Phenols certainly undermine that. The flavor is also phenolic up front – reminiscent of smoked meat. Pineapple character from the Amarillo addition continue to save the beer. Together, they make a Hawaiian pizza combo. Though it’s odd and probably not what was intended, the end result is quite delicious. (Keep in mind that I love rauchbiers including blonde smoked lagers.) 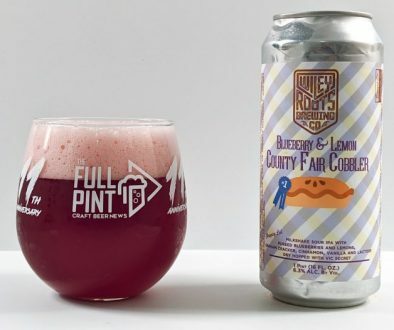 The overall beer is still refreshing, semi-sweet, and medium-bodied with a goopy malt character that could use a bit more bitterness for balance. I would say apparent bitterness is at a 5 out of 10 while and sweetness is at a 6. Perhaps because of the low carbonation, the beer is dead around the edges with a poor aftertaste that is slightly papery and soapy. For a pale lager, though, I think the body could be a bit lighter and flavor profile certainly cleaner. In addition, the Amarillo hops don’t really pop for me. I wouldn’t describe the beer as that hoppy or bitter. It’s nuanced rather than assertive. Other than that, the main takeaway is that this lager has some phenolic qualities. I describe them here as smokey, but others may find it closer to band-aid or plastic. That may be from an issue with the water profile in this beer (chlorine) or residual sanitizer rinse or even from unfinished lagering/cold conditioning. It doesn’t personally bother me since I’m a big fan of smoked beer. But since this isn’t marketed as such, it may be off-putting for some drinkers. 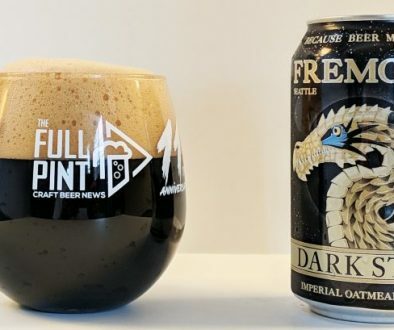 Please use the comment section below for general comments about this beer and/or my review. For more information about how I review beer, please read this article.